If you're looking to get a new car but the idea of a full purchase is giving you cold feet, a Chrysler lease from Anchorage Chrysler Dodge Jeep Ram may be just what you need. A leading Chrysler dealership in Anchorage, Alaska, we offer a variety of affordable auto lease options. With lower monthly payments and a smaller down payment, a Chrysler lease is ideal for Anchorage drivers who have a limited cash flow and would prefer a greater level of financial predictability. A car lease also allows you to avoid the hassle of reselling your vehicle and minimize stress associated with maintenance and repairs. Want to learn more? Stop by our Anchorage, AK Chrysler dealership today to find out if a Chrysler lease is right for you! For many years, Anchorage CDJR has proudly provided cost-effective auto lease options for Anchorage drivers. 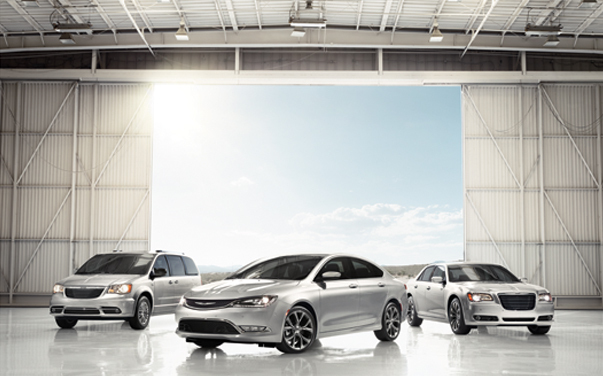 Our Chrysler lease opportunities allow you to get behind the wheel of any of the vehicles in our Chrysler lineup. From the luxurious Chrysler 300 to the family-friendly Chrysler Pacifica, our selection offers next-level quality from every model. Come see for yourself by visiting our Chrysler dealership in Anchorage, AK! In addition to our many Chrysler lease opportunities, Anchorage CDJR offers superior auto financing services to help you stay within your budget. With our excellent Chrysler financing services, we hope to minimize the financial burden of your purchase and allow you to focus on enjoying your new car. You can get started right now by using the tools on our website, where you can estimate your credit and apply for pre-approval. Of course, don't hesitate to give us a call at (855) 813-8156 or swing by our auto finance center in Anchorage, AK to speak with a Chrysler financing expert. We hope to hear from you soon!